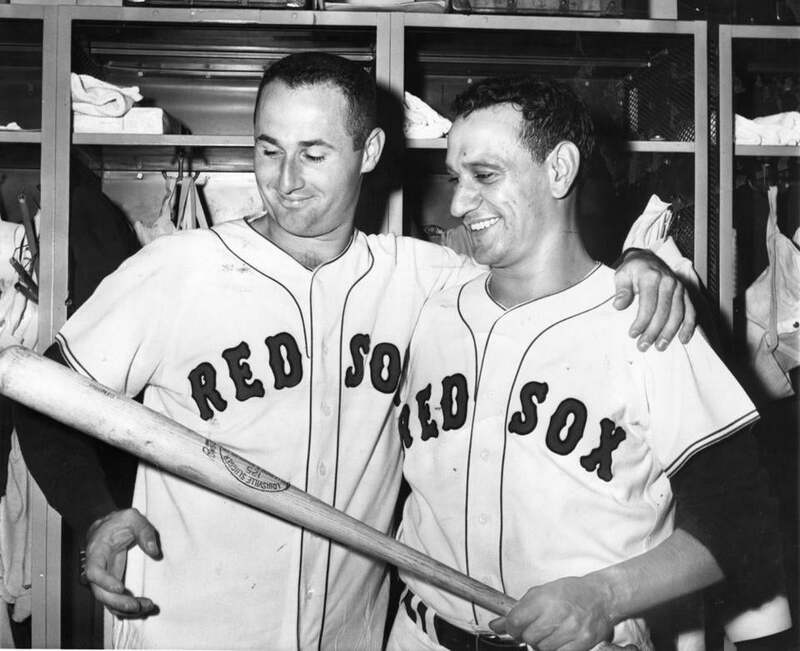 Red Sox pitcher Bill Monbouquette and Frank Malzone examined a bat that Malzone used for his fourth home run of the season in the ninth inning of a 1962 game with the Detroit Tigers at Fenway Park. Frank Malzone grew up in the Bronx and attended high school a short distance from Yankee Stadium. He planned to become an electrician before a Red Sox scout spotted him in 1947 and offered the princely sum of $150 a month to play in the minor leagues. It was a wise decision. Mr. Malzone played parts of 12 seasons in the major leagues and made the All-Star team six times before becoming a respected scout, instructor, and adviser. The former Sox slugger died Tuesday of natural causes at the age of 85, having made baseball his life. Mr. Malzone hit .274 in the major leagues with 133 home runs and 728 RBIs. He was with the Red Sox from 1955-65, then spent a season with the California Angels. A look back at some of the people from the world of sports that we lost in 2015. Mr. Malzone never played for a team that finished higher than third place. But he distinguished himself with stellar play at third base, winning three consecutive Gold Gloves after the award was introduced in 1957. 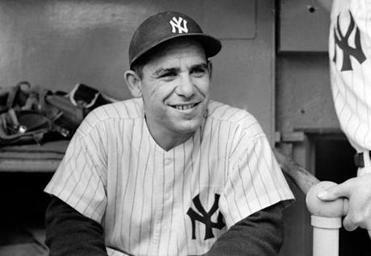 In ’57, Mr. Malzone became the first player in history to lead American League third basemen in games, putouts, assists, double plays, and fielding percentage. He also tied a league record with 10 assists in one game. Mr. Malzone remains the only Red Sox third baseman to win a Gold Glove. “The Red Sox didn’t have a lot of stars then, but Frank was one of the better players in the American League. He was an outstanding third baseman,” Berardino said. In 1959, Mr. Malzone batted seventh for the American League in the first of two All-Star Games that season. In a lineup that featured Ted Williams, Yogi Berra, Mickey Mantle, and Roger Maris, Mr. Malzone drove in the first run for the AL with a home run off Los Angeles Dodgers great Don Drysdale. After Williams retired in 1960, Mr. Malzone helped smooth the path for his replacement in left field, Carl Yastrzemski. After retiring as a player, Mr. Malzone rejoined the Red Sox as an advance scout and instructor. In all, he spent 68 years in the organization. “He had such loyalty to the Red Sox,” Berardino said. 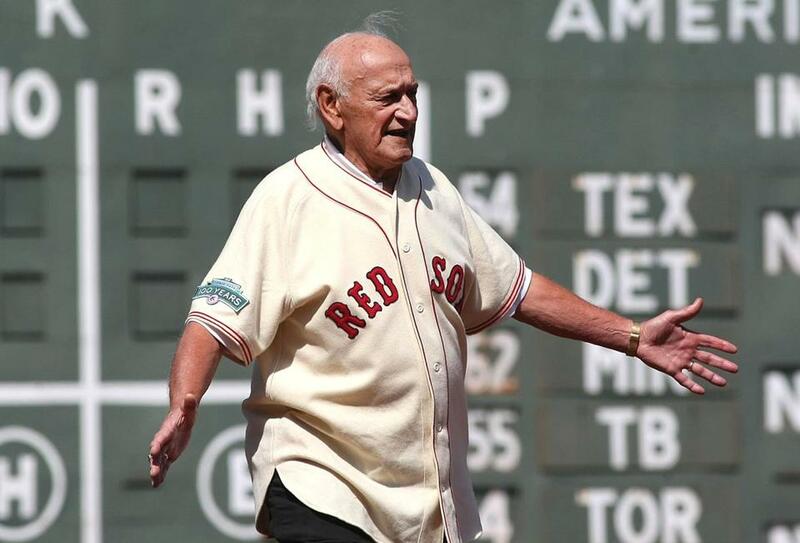 Malzone tutored several generations of Red Sox players, primarily third basemen. But his influence spread wide. “He had a good way about him and I had some great conversations with him. He would always try to get me inside information on another team, and in spring training all he would do is work with me on certain things,” said Dwight Evans, who met Mr. Malzone in 1972. “He may not have been one of the coaches on the team, but he was a coach for me, instructing me on the finer parts of the game. Until only a few years ago, Mr. Malzone attended spring training for at least a few weeks every year and kept a close eye on the third basemen in camp. In quiet moments, he would step in and offer advice. “To be able to learn so much from a Gold Glove third baseman was extremely beneficial. He was a great man and he was always so nice to me,” Kevin Youkilis said. When the Red Sox started a Hall of Fame in 1995, Mr. Malzone was in the first class of inductees. He was a regular at Fenway Park, signing autographs for fans and visiting the clubhouse from time to time. Mr. Malzone met his wife, Amy, while playing in the minor leagues in Oneonta, N.Y., in 1949. His career was delayed by a two-year stint in the Army from 1952-1953 during the Korean War. He returned to baseball in 1954 and made his debut with the Red Sox a year later. The Malzones moved to Needham in 1957 and were active members of the community. Amy Malzone died in 2006. Mr. Malzone leaves four sons, Frank, Paul, John, and Jim; a daughter, Anne O’Neill, eight grandchildren, and five great-grandchildren. A funeral Mass will be said at 10 a.m. Monday at Saint Bartholomew Church in Needham. Malzone appeared in 2012 as Fenway Park marked its 100th birthday.